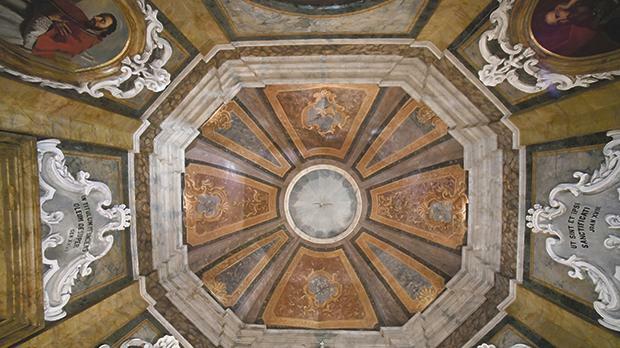 For more than a century, the dome of the chapel within the Mdina Cathedral Museum looked unadorned and bare. Visitors to the premises, a former seminary, would merely see a white ceiling which contrasted sharply with the rest of the baroque chapel. Mgr Edgar Vella realised something was amiss ever since he was appointed museum curator some 25 years ago. “I perceived by pure intuition that in such a highly-ornate baroque chapel it was impossible that the dome was not decorated. Besides, while observing the ceiling, I could decipher that there were faint signs of decorative motifs,” he told the Times of Malta. 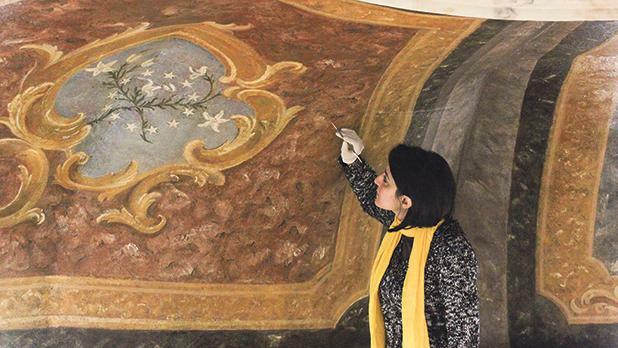 At what Mgr Vella called an “opportune” time, the museum contacted fine arts conservator and restorer Amy Sciberras in 2016 to test and analyse whether there could be any concealed paintings. “I spent several weeks of testing in order to formulate and develop a methodology for the uncovering of these paintings, which methodology was in fact specific to this particular site and situation,” Ms Sciberras explained. 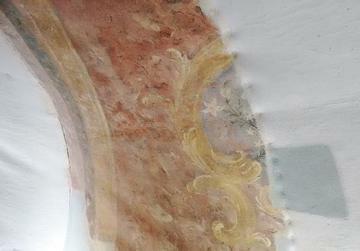 This involved the removal of an uppermost white coating and, subsequently, the removal of a blue coating which was in direct contact with the original painted decorations. 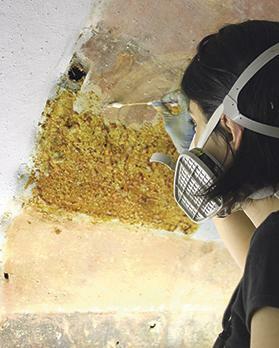 She formulated a cleaning agent specifically for this site which was applied in gel form, thus allowing the agent to act only on the blue coating without affecting the original scheme of colours. 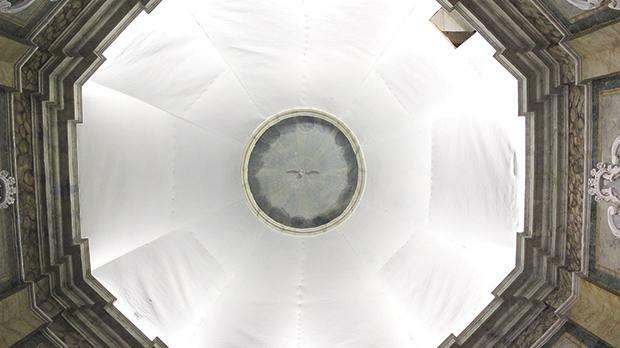 Ms Sciberras was eventually entrusted with the uncovering and conservation-restoration of the dome, a procedure which revealed a full-scale decorative project featuring 18th-century Rococo-style paintings divided into eight sections that give the optical illusion of a dome. The restorer pointed out that the paintings could have been covered in the past due to the precarious state in which they were found. Following the complete uncovering of the dome, all the different types of deterioration presented by the paintings were addressed. Further interventions involved overall consolidation treatments to reinstate adhesion between the various layers comprising these paintings, tear repair, structural treatments of the wooden framework of the dome which was sagging, improvement of canvas deformations, treatment of canvas lacunae, infilling of losses in the gesso preparation and paint layers, and the subsequent pictorial integration (retouching) of infilled losses. It took Ms Sciberras 13 months to complete the project. Mgr Vella said that the author of the paintings could presumably be Don Michelangelo Abela who was responsible for other decorative works in the seminary, as revealed by Mario Gauci, author of a publication to be launched on the occasion. 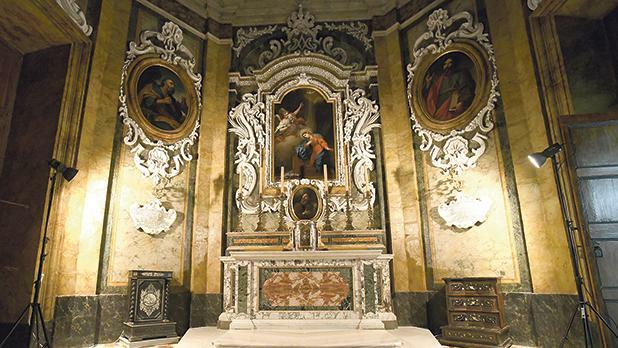 “Now the Cathedral Museum treasures a complete chapel as projected by its mastermind, Bishop de Bussan,” Mgr Vella noted. Mr Gauci’s book gives a detailed account of the initiative taken by French Bishop Paul Alphéran de Bussan to build a new seminary and analyses the different transitional periods related to the building, particularly the opening of the Cathedral Museum and its recent history. The second half of the publication focuses on the architectural merits of this building, with the author including many details regarding master masons, architects, sculptors, painters, marmisti (marble workers) and decorators. The conservation-restoration project was also supported by Heritage Malta, represented by Anthony Spagnol, and sponsored by Fenech and Fenech Advocates – Malta. 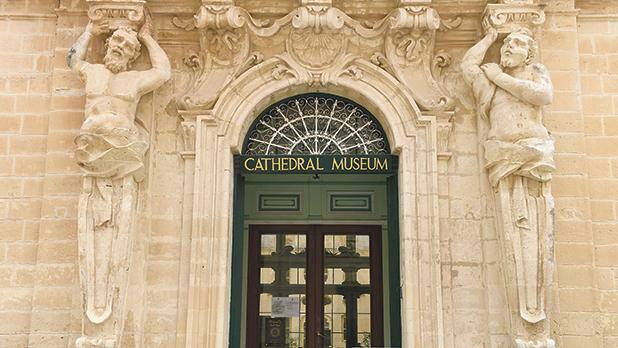 The Mdina Metropolitan Cathedral Museum, which houses a silverware collection, a collection by German Renaissance painter Albrecht Dürer and various other artworks, is open every day between Monday and Saturday from 9.30am to 4.15pm (last admission). It is closed on Sundays.